NOTABLE WINS: Second Place in 1998 Gold Kist Farms contest; Finalist in 1998 National Chicken Cooking Contest; $5,000 First Place winner in the 1998 Checks for Chex contest; Finalist in the 1998 Bays English Muffins contest; First Place in the 1998 Dunnwood Dine Off; Fourth Place in the 1999 Gold Kist Farms contest; Grand Prize winner in 2000 Gold Kist Farms contest; Finalist in 2000 Pillsbury Bakeoff; First Place and Best of Category in 2000 Cookshack smoker contest. 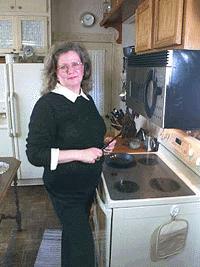 FUNNIEST CONTEST: Diane once competed in a grilled cheese recipe contest at a local supermarket. After drawing the last preparation spot, she found out the judge had to leave at a certain time to attend her daughter’s recital. When the rest of the contestants went overtime preparing their recipes, Diane found herself with only 4 minutes to throw together her creation. Keeping her cool, Diane threw her sandwich together, grilled it in record time and won the Grand Prize.